Sometimes it takes a lot of courage to try something new… especially when it involves our husbands. 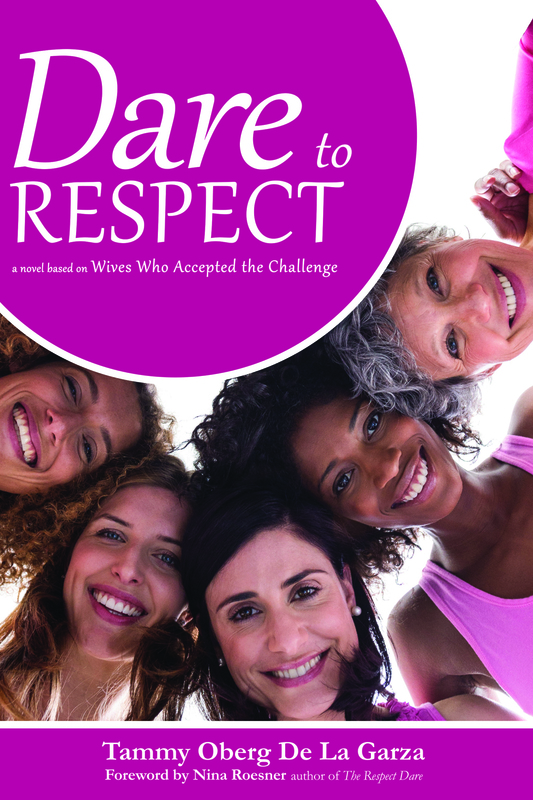 A few years ago, I did a study on “The Respect Dare,” a book of 40 dares to deepen wives’ connection to God and their husbands. I practiced new ways of showing respect to my husband, which at times felt pretty risky. These new behaviors were very “unlike me” and at times I had to push myself to complete a dare. Regardless, I continued to step forward into the unknown land of respect with God’s help. As I learned how to demonstrate respect for Rey, he began to demonstrate love for me in new ways. We hit a few snags and back-slides, but our connection to each other and God is stronger than it’s been in 20 years of marriage. In addition to our marriage, my life has been undergoing major renovations. The willingness to surrender to God’s template for marriage via the respect dares was the first step that began a chain reaction of healing and redemption. After a lifetime of following the “Christian Rule-Book” (praying, bible reading, weekly worship, tithing), God turned my world upside down last spring, and asked me to follow Him. Whoa! I was not prepared for this. I was perfectly comfortable in my predictable, Christian life – and wasn’t looking to venture into something new. This unplanned-following was unlike anything I’d ever done in my life. I hadn’t meticulously orchestrated the events or the places God took me. I didn’t read self-help books and there was no life-improvement goal checklist. One blessing led to the next. First it was the idea to write the Dare to Respect novel, then a new church home, an invitation to join a Celebrate Recovery step-study, a Christian counseling ministry, a baptism, a fabulous book-launch and more! All this in less than 12 months? No way I could have planned this brilliant string of events. At some point, you’d think I would have stopped being flabbergasted by the beautiful things that were happening, but with each new blessing, I was genuinely surprised. In my surrender, God brought me to wildly abundant pools of healing – from sugar addiction, past hurts, feelings of shame, and guilt over my sinful past. Surrendering my attempts to control life was (and still is) terrifying at times… but each time I follow Him, I am blessed with incredible overflows of peace and joy. Each victory reinforces my decision to follow God and motivates me to continue on His path. So, will YOU dare to respect? Want to read the novel of 6 women who took daring steps towards following God’s design for marriage? Do you want to take the Respect Dare journey that started the change in my life?